As a management consultancy for the energy transition, our business is to have insight into the energy industry and its future evolution. Our insight comes from experience in the sector, an understanding of current and future energy challenges and an ability to take a fresh perspective on matters. This article explores the lessons that the energy industry can learn from the natural world. 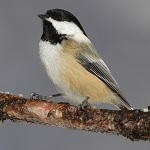 It has been found that black-capped chickadees can have significantly different learning capabilities depending on where they live (Roth, LaDage & Pravosudov, 2010). The birds that lived in harsher, colder environments where food was less readily available were found to learn more quickly, and solve problems faster than birds living in milder climes. The simple fact that survival is harder for these birds means that they work harder to do so – and benefit as a result. There are significant challenges to all parts of the energy industry: the oil price fell by 45% in 6 months; future oil and gas projects are in higher cost, more challenging locations; Carbon Capture & Storage needs an adequate funding mechanism in order for it to become commercial; onshore wind energy is battling public opinion and subsidy loss; solar power requires continued innovation to become more cost efficient; and the demand for better energy storage technology is vital to support renewable electricity generation. However these challenges shouldn’t be viewed as obstacles but as opportunity. It is likely that those born in difficult times – such as the engineers and economists and environmentalists graduating in 2015 – will find ways and means to overcome these difficulties and create a brighter energy future. The cleaner wrasse is a small fish that lives in shallow waters around reefs, and could be considered a pacifist in the way it lives its life. Instead of foraging for food at the risk of being attacked by predators, it has a mutualistic relationship with larger fish that would otherwise try to eat them. The outcome of this collaboration is that the cleaner wrasse eats parasites, mucus and leftover food straight from the larger fish’s mouth and so is well-fed and protected from predation, while the larger fish enjoys significant health benefits as a result. This is a fantastic example of a symbiotic relationship; of working together for mutual gain. In the energy sector, collaboration on major industry challenges can also result in mutual benefit. Joint industry projects can break down traditional barriers associated with competition and go hand in hand with long term thinking for a sustainable future. For example, in 2004 Coca Cola, PepsiCo, Red Bull and Unilever all joined together to form the Refrigerants, Naturally! Initiative, to replace harmful fluorinated gases with climate friendly refrigerants in their cooling appliances. These companies are clearly competitors but their collaboration reaped them all business benefits through reduced costs and increased public approval, as well as the obvious environmental credibility. In circumstances where there are significant common challenges, such as climate change, a collaborative approach can create new thinking and innovative solutions. The continued application of the “market competition” solution, through competitive tendering, restricting material access through confidentiality and Intellectual Property can constrain step change thinking. Energy is not just about the energy industry. It also affects and involves government, scientists, the financial sector, the environment, international relations, and of course the general public. Avoiding silo formation between these groups and deeper within organisations is vital in maintaining positive progress. Whether you are a big fish or a little fish, collaboration can bring new perspectives and create fresh ideas, combining complementary skills and alternative views. The bowerbird has never been one to be outdone by its competitors. When trying to attract a mate, the male bower bird will construct an expertly engineered structure or “bower” and decorate it with whatever treasures he can find in the forest, such as bright red berries, shiny wing cases from beetles or lush green moss. His success in finding a mate largely depends on his bower being more colourful, more plentiful and more neatly arranged than that of his competitors; as a result he will work tirelessly to ensure that this is the case. However, no matter how hard the bowerbird works, he may still be unsuccessful in finding a new mate. If the female prefers blue yet he has covered his bower with pink flowers, then she will go elsewhere. So perhaps the energy industry can learn two lessons from the bower bird. Firstly – do not let yourself be outdone. There are always competitors, and the energy sector and its supply chain is no different. Effective marketing is key; having a clear marketing strategy, understanding who your customers are and communicating your offering clearly is a fundamental business activity. Sometimes we overlook its importance. The second lesson from the bowerbird is this – however hard a business may try, if the product or service is not what the client wants then it will never be successful. Market research is vital whether you are starting or expanding a business or product offering; find out what your client needs – pink or blue – and then meet that need. The Horseshoe crab and their relatives have existed for over 400 million years (originating about 200 million years before the first dinosaurs appeared) and have survived 4 mass extinctions. They are sometimes referred to as “living fossils” and are astonishingly adaptable creatures. Some of the keys to the horseshoe crab’s success include being an omnivorous scavenger that will eat almost anything and having the ability to adapt to huge changes in salinity, oxygen availability and temperature. It is this exceptional adaptability that allowed the horseshoe crab to survive the nuclear winter caused by asteroid impact 65 million years ago, when so many other species could not. So the final, and possibly most important, lesson for the energy sector from the natural world is one from the horseshoe crab: Be Adaptable. The energy sector is naturally volatile and so to assume that all will stay the same forever is delusional. Of course successful people and businesses know this, and act accordingly. The need for a focused strategy is clear, but in times of uncertainty the strategy needs to embrace and deliver change. Change is inevitable and to live in denial is fatal to business. While the horseshoe crab did not adapt with the future in mind – it was merely a matter of survival – energy businesses can go one step further and make the big decisions that will define their future. Openness to new ideas and a creative outlook are vital. There are huge opportunities arising out of uncertainty that can be taken advantage of, including; the energy transition need created by climate change; creation and adoption of new technology; shifts in corporate culture; changes in policy and regulation; and increasing energy efficiency. The more significant the change the faster the adaptation must come, whether it is climate change, a dramatic fall in oil price, or an asteroid impacting Earth. Insights come from many sources and what better place to look for a fresh perspective than the natural world. Take a lesson from the Black-Capped Chickadee, the Cleaner Wrasse, the Bower Bird and the Horseshoe Crab and make sure your business is successful in the Energy Transition. Images licensed under CC BY-SA 3.0, CC BY-SA 2.5 or public domain via Wikimedia Commons.